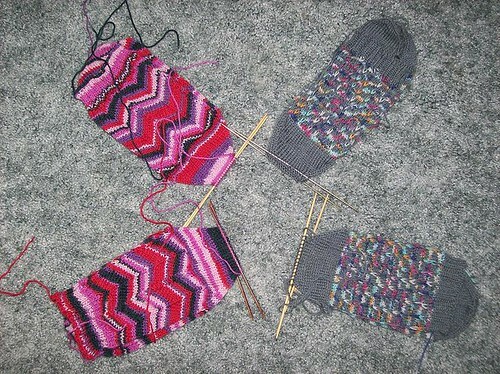 I have been working on two pair for February. I need to have a kitchener party to finish the afterthought heels but other than that two pair will be complete. First pair of socks is made with Regia in the Jaywalker Pattern, second is a pair made with Knitpicks Essentials in ash and some misc multicolored sock stash.